Salzburg has banned pork in city-run kindergartens in what local officials have defended saying it meets the needs of Muslim children. The office of the Social Democratic Party (SPÖ) deputy mayor Anja Hagenaue confirmed the accusations saying that while there was no official order given by the left wing government, the ban had been in place for around five years. Ms. Hagenaue added the children preferred chicken and carrots to pork. 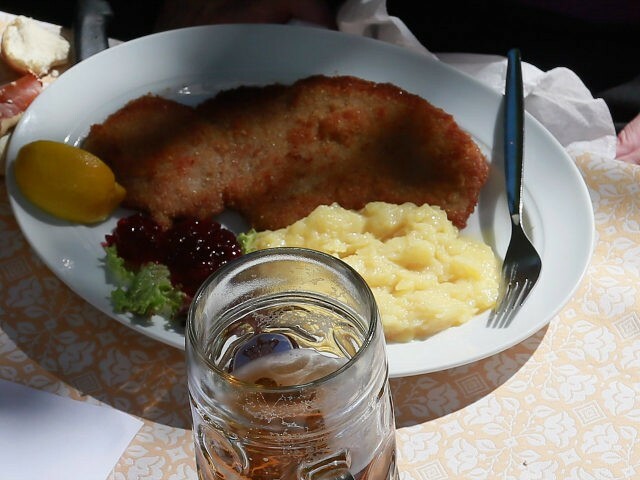 Salzburg is the second regional capital in Austria to ban pork from the school menu, the first being Bregenz in Austria’s most western region of Voralburg. ServusTV, a relatively new television channel funded by the Red Bull energy drink company, questioned the parents of children attending kindergartens in Salzburg. They told the channel they rejected the fact pork was excluded and the channel commissioned a nationwide survey that showed 78 per cent of Austrians thought pork should be included in all kindergartens. The issue of pork in schools which have growing Muslim student populations has erupted across many European countries in recent years. In France, the issue made headlines last month when the conservative mayor of the town of Chevigny-Saint-Sauveur, Michel Rotger, argued that mandatory pork lunches would promote secularism and would save the school money on having to offer alternative menus. Pork and other pig products like bacon are forbidden to Muslims and have been used by many to protest the building of mosques or as a perceived insult to individual Muslims. In one case in Sweden, a man was arrested for allegedly dangling pieces of bacon in front of two fully veiled Muslim women on a train while calling them various names. In the UK, police hunted suspects who were believed to have thrown bacon sandwiches at a mosque in Bristol last year and two others were arrested after throwing bacon inside a mosque in London several months later.